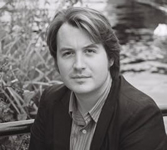 Jonathan Barnes was born in 1979 and was educated in Norfolk and at Oxford University. His first novel, The Somnambulist, was published in 2007 and his second, The Domino Men, in 2008. Between them they have been translated into eight languages. He writes regularly for the Times Literary Supplement and the Literary Review. Since 2011, he has been writer-in-residence at Kingston University. He is also the author of several full-cast audio dramas from Big Finish Productions, featuring characters from Sherlock Holmes and Doctor Who. CLICK HERE FOR MORE BY JONATHAN BARNES. Victoriana — (2007-2015) Publisher: ‘Be warned. This book has no literary merit whatsoever. 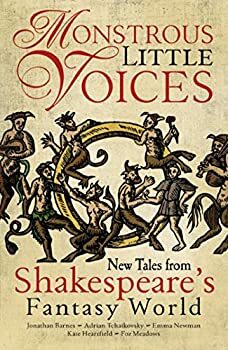 It is a lurid piece of nonsense, convoluted, implausible, peopled by unconvincing characters, written in drearily pedestrian prose, frequently ridiculous and wilfully bizarre. Needless to say, I doubt you’ll believe a word of it.’ So starts the extraordinary tale of Edward Moon, detective, his silent sidekick the Sonambulist and devilish plot to recreate the apocalyptic prophecies of William Blake and bring the British Empire crashing down. With a gallery of vividly grotesque characters, a richly evoked setting and a playful highly literate style this is an amazingly readable literary fantasy and a brilliant debut. 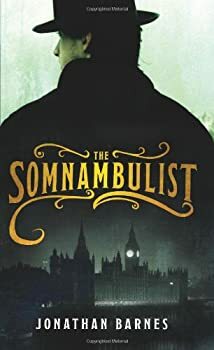 To be honest, I’m thoroughly divided as to the sort of review I want to give The Somnambulist. On the one hand, despite some flaws, for most of the book, it was one of the most fun reads I’ve had in a while. On the other hand, the last 40 pages or so were just downright bad. I don’t mean simply disappointingly bad relative to the rest of the book, but off-the-rails, what-the-heck-happened, did- the-author-die-and-then-some-stranger-finish-the-book terrible kind of bad. Which leaves me with a dilemma. Do I recommend a book that closes out so disastrously? In the end, I’ll say yes, thinking that perhaps others won’t react quite so strongly to the ending as I did and also thinking, hey, they were warned. So hey, you were warned.